How do you currently store your chinaware? Are you still using the tired cardboard box you bought them in? Or wrapping plates in bubble wrap after every event? Using a specialist plate box will soon save your time and help reduce chips and breakages in the long term. You can organise your plates by range and size so they're easy to find. All of our plate boxes are stackable, so you can make the most of your storage space. Caterbox plate boxes provide perfect storage solutions that protect plates and other tableware from dust, damp and damage and look great too. Don’t believe it? why not try one out for yourself we have no minimum orders and easy returns policy To Start Shopping Click Here. Following the recent launch of our New Look Website where we’ve added 1000’s more products for storing and washing every glass, cup and plate imaginable, giving you even more choice than before, so you can store and move you plates and bowls securely and professionally the way you prefer, options available plates flat or on their rims, both options are available for most plate sizes, ask a member of staff for more information on how to order the best box for your chinaware today 01962 711007. Our Plate Storage Box Range now includes new and extended lines. We are super excited to introduce the 600 x 400mm Ventilated Plate Crate collection that comes with a large selection of compartment variations for every shape and size plate out there. These fantastic Ventilated Euro Crates have been part of the Glass & Cup Range for years and our customers find they are long lasting and heavy duty. They boast reinforce base and four open handles for easy carrying. The Ventilated Plate range has been introduced as the ventilated alternative is a favourite with a lot of our customers and makes a perfect storage solution for side plates, Bowls, Dinner Plates and Charger Plates. CLICK HERE to view the range. To complement the Ventilated Plate Range, we are extended our 600x400mm Solid Plastic Plate Box range with an assortment of new compartments now available to buy online. Also, being added to the plate box range is the 400x300mm Slotted Plate Box for the more delicate plateware. These boxes have custom made compartments with an individual slot for each plate. Plates are inserted into the slots on their rim, protected by a layer of 3mm polypropylene to protect plates from moving around and chipping against each other. CLICK HERE to find out more. In addition to all of the Newbies on the block we have a NEW box joining the 400x300mm plate box collection, plates are loaded in to these boxes on their rim, which is a popular choose in the event industry due to speed and space saving benefits. 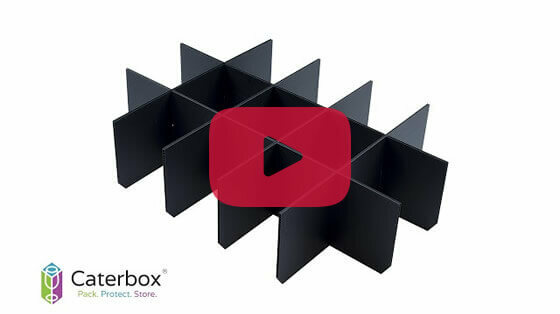 The new box which measures L400 x W300 x H280mm is an ideal storage solution for plates between 22cm to 25cm CLICK HERE to view. 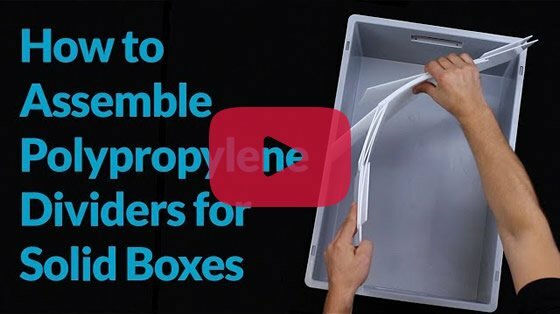 These fantastic plate boxes are available to purchase with a selection of lids, all compatible with the stacking functions of the Euro Box Range. 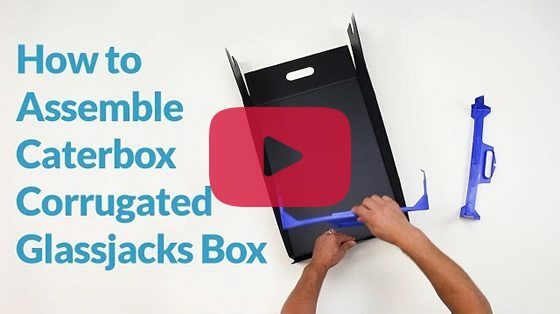 All products from the Plate Storage Box range are easy to load & handle with reinforced base and comfortable open handles, helping streamline operations saving time and money in the process. Box Printing is great for stock recognition, brand promotion and even property protection. What’s more, adding branding on to your order won’t add weeks on to your lead time. Simply send your artwork to us and we will do the rest in no time at all CLICK HERE to find out more. 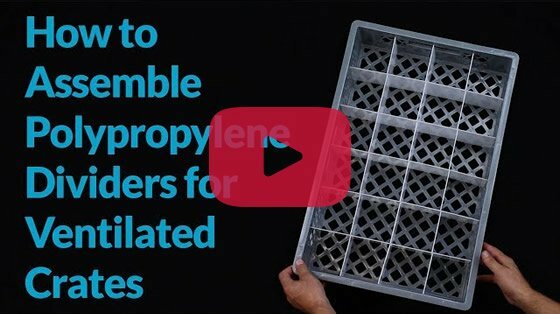 Caterbox Launches a NEW line of Glassware Dividers for 600 x 400mm Crates.